A Western spoof in which a prim girl (Jane Fonda) hires a once-famous gunman to protect her father from the gunman's evil twin brother (both played by Lee Marvin). Unfortunately the man she hires is now a drunken bum and no match for his tin-nosed twin. When her father is killed, she takes it upon herself to track down the murderer. 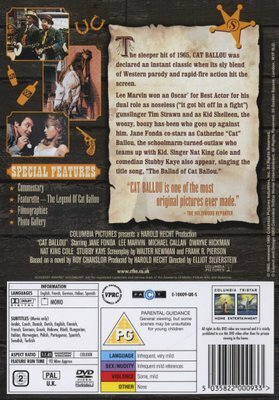 With musical interludes from Nat King Cole and Stubby Kaye. 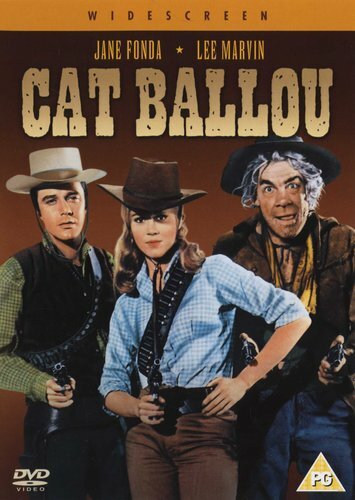 Other Documentary: 'The Legend of Cat Ballou'.